I used Sally Hansen Xtreme Wear in Green With Envy as a base and LaRosa Crackle in Green on top. 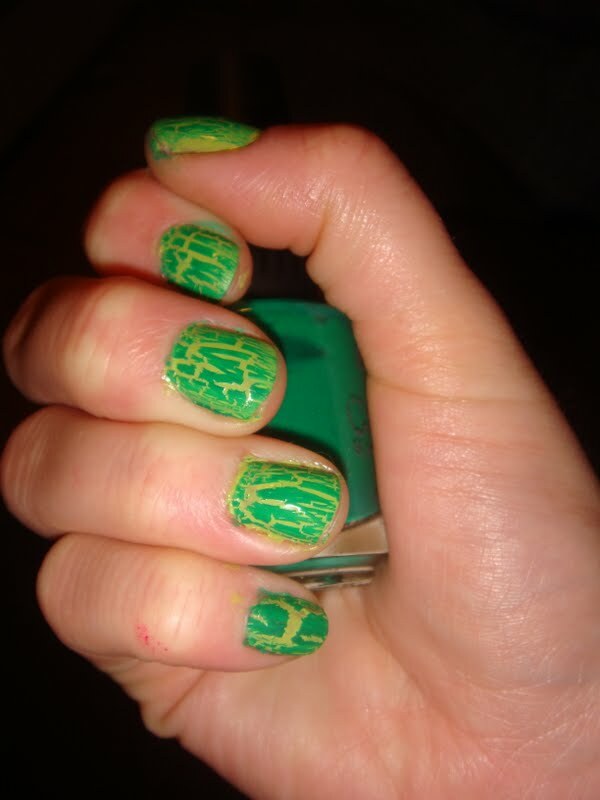 I love this nail combo, this has to be my favourite crackle/shatter so far. I get more comments (good and bad) wearing this combo than any other nail combo I've ever done.